BHOPAL: The Lokayukta police have registered a case against an Indian Forest Service (IFS) officer who was earlier posted as director of the Van Vihar. The official--Atul Srivastava, has been booked for fraud. He is accused of misusing his powers too. Srivastava, as director, got his driver's wife termed as a daily wage employee, and drew her salary too. The amount was Rs 6,000 per month. Subsequently, the forest department conducted a probe in this regard and when the corruption was found, the case was handed over to the Lokayukta police. The Lokayukta police says that Priti, wife of Rajesh Kushwaha, had complained that she had never worked in any government department. Her husband, Rajesh had worked as driver under the then Van Vihar director Atul Srivastava. However, her salary was drawn allegedly by the officer though she was not in service at all. The Lokayukta police have now registered a case in this regard. 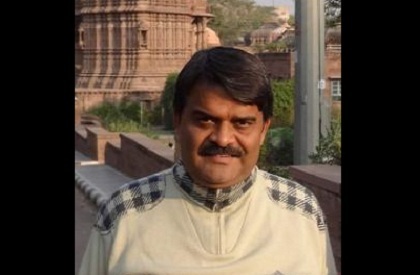 Srivastava, who is an APCCF, is right now posted in the Rural Development Department. The allegation is that a woman was termed as daily wage employee and her salary was drawn, which he later used to withdraw. This occurred between 2014 and 2017. Priti complained that she was promised help in getting loan and her ATM card was taken but no loan was sanctioned and she was cheated too. When she demanded her ATM card, her husband was thrown out of job. Later, when she sought details from bank, it was found that Rs 6,000 was deposited in the account every month. The Lokayukta police have booked him under Prevention of Corruption Act too. Investigation has been initiated in this regard. Activist Ajay Dubey has demanded action. In a statement, he has said that corrupt officers must not be shielded by the government. Dueby said the officers charged of corruption, should be immediately dismissed.